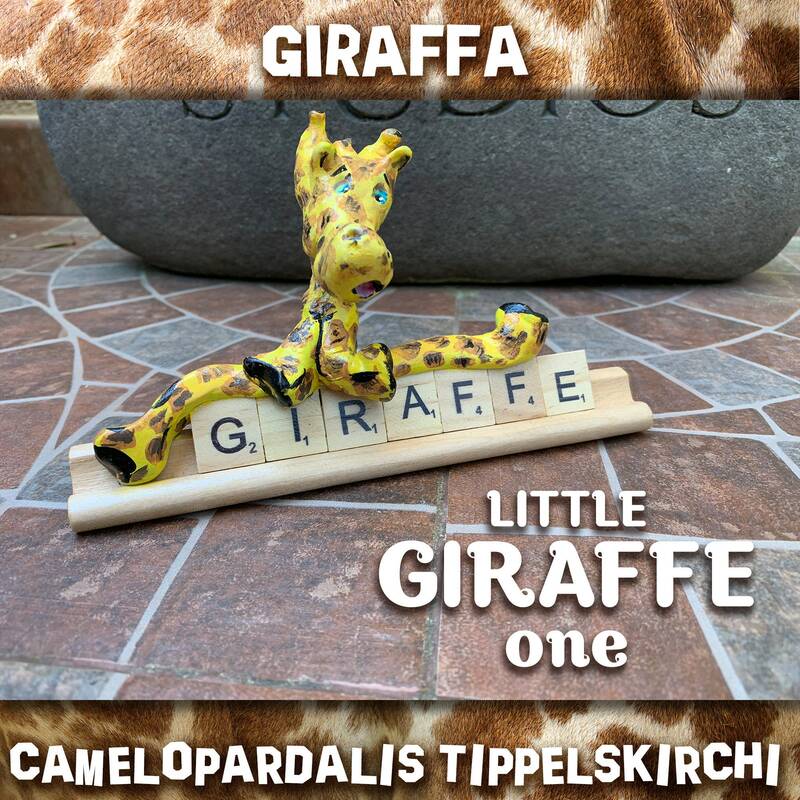 Fascinated by the long-necked giraffe (Giraffa camelopardalis tippelskirchi) we were shocked to learn that this creature is slowly becoming one of the extinct animals on our planet. 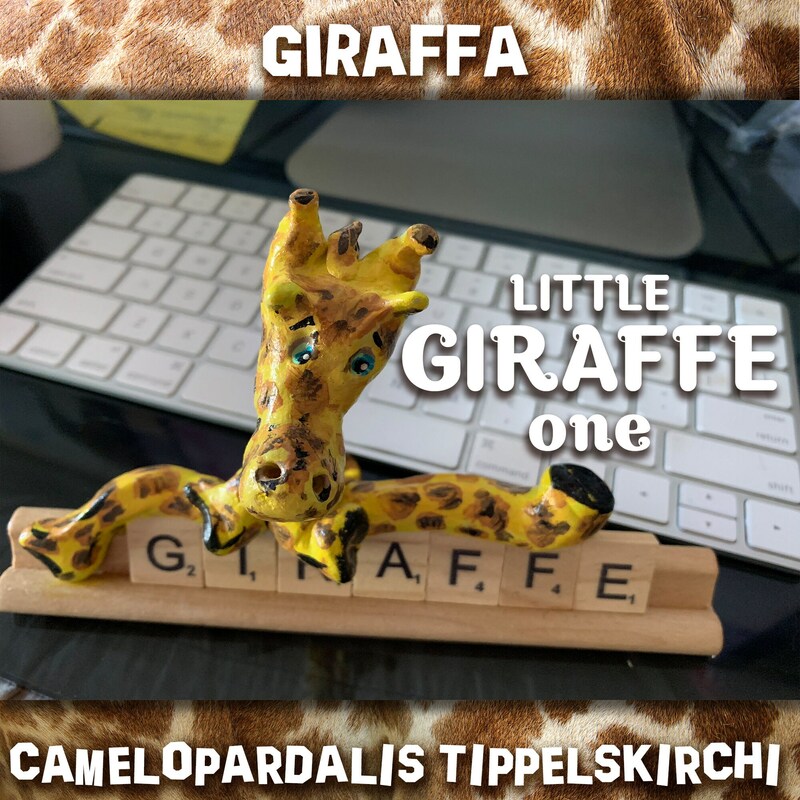 This is one of my favorite fun desk pals. 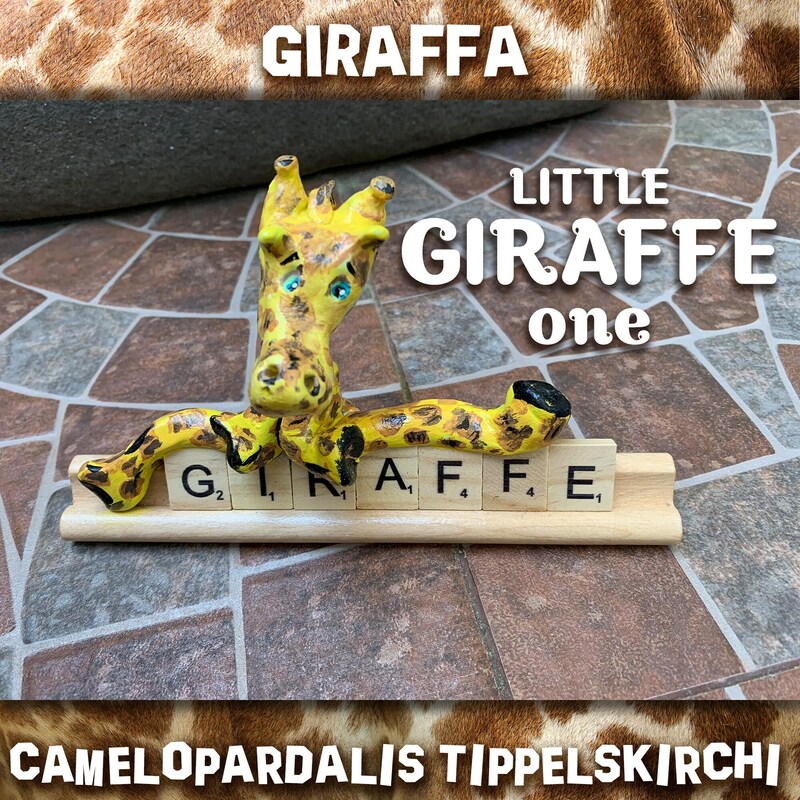 We support the conservation of the giraffe and all profits from any giraffe stature will be donated. 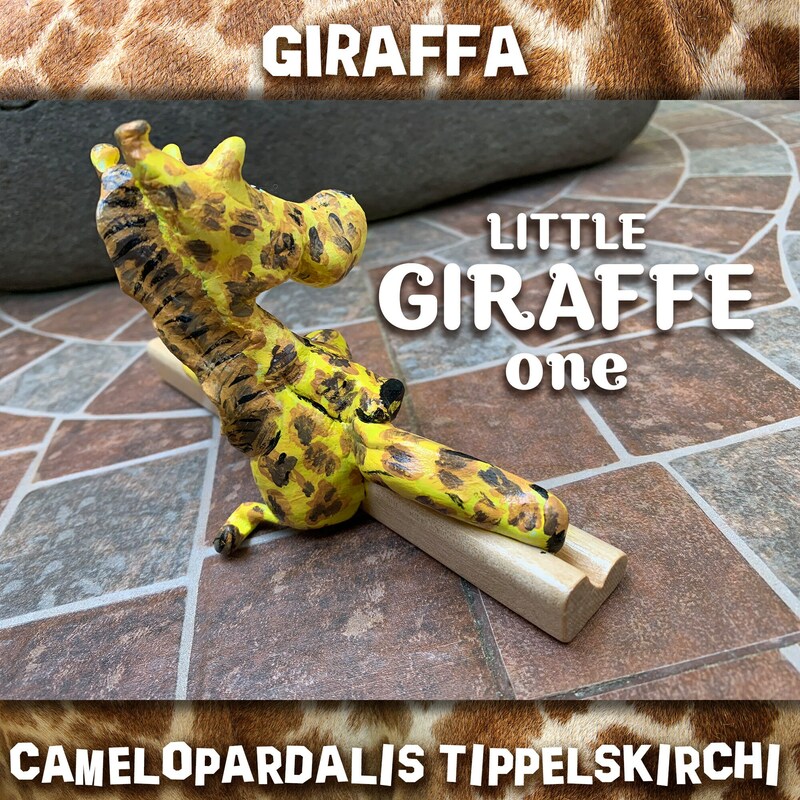 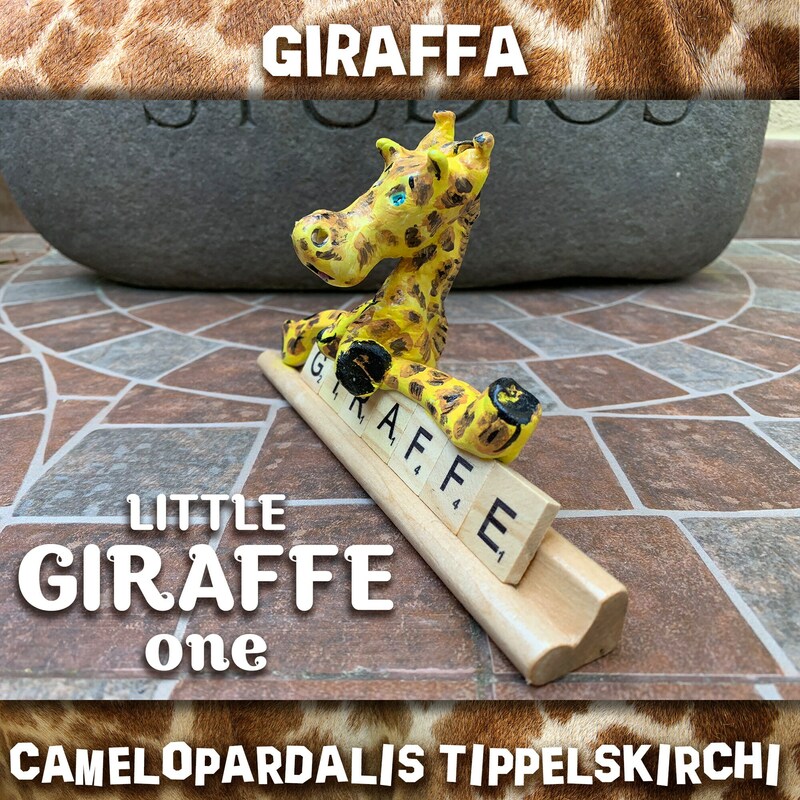 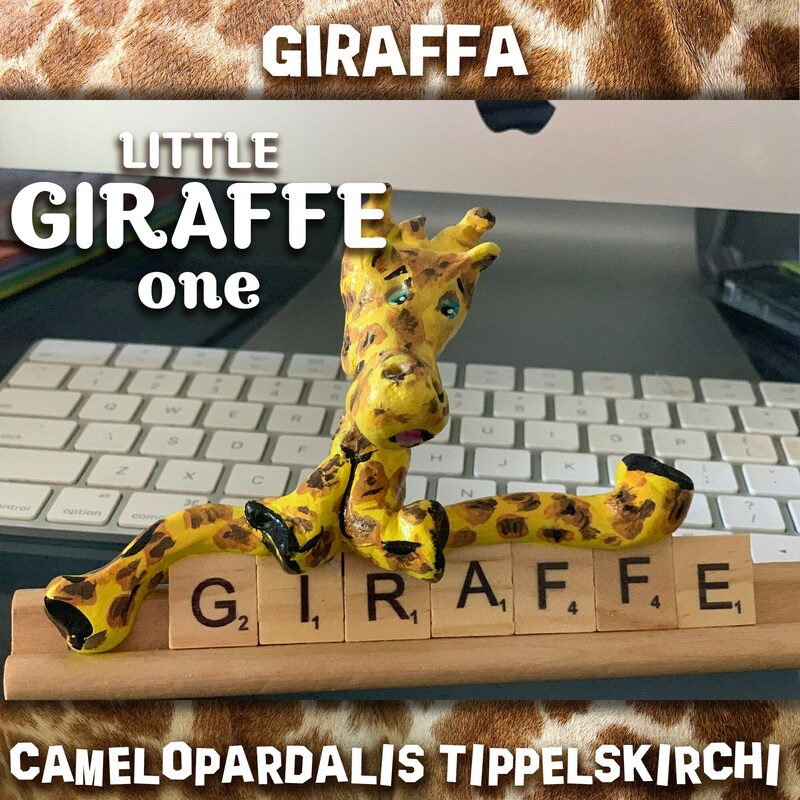 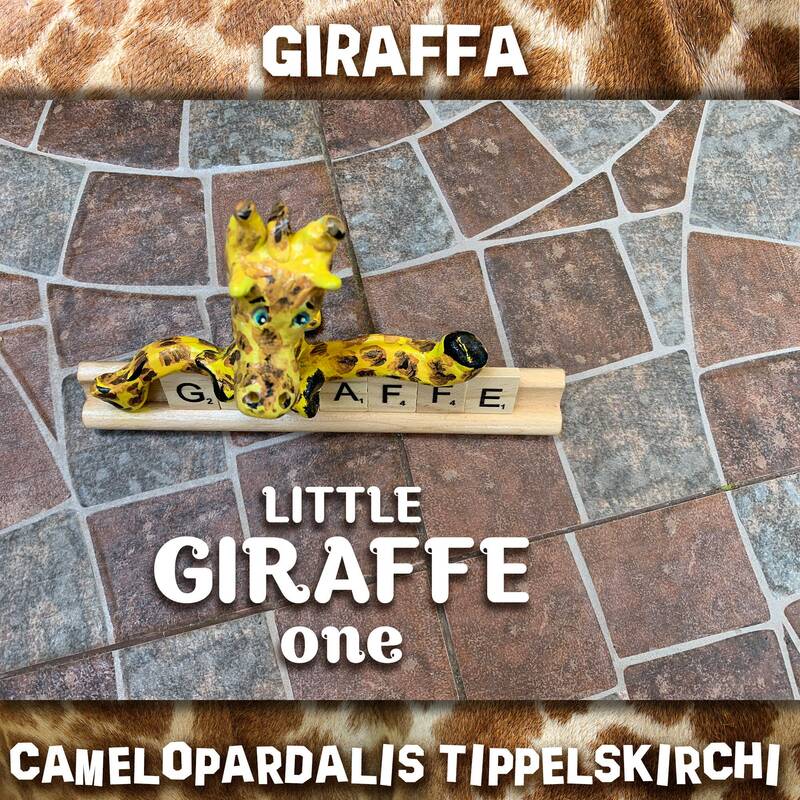 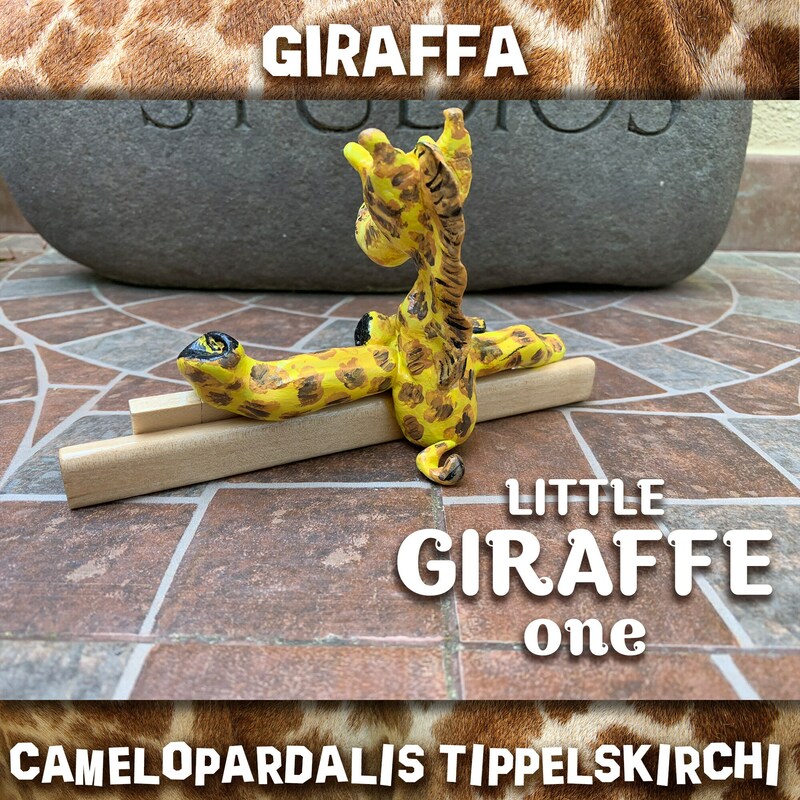 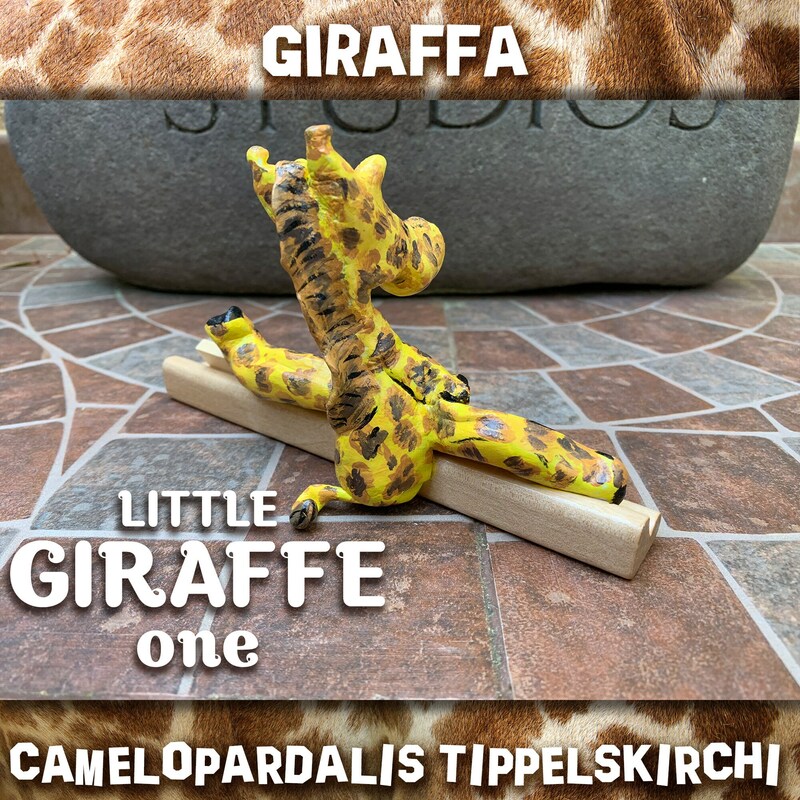 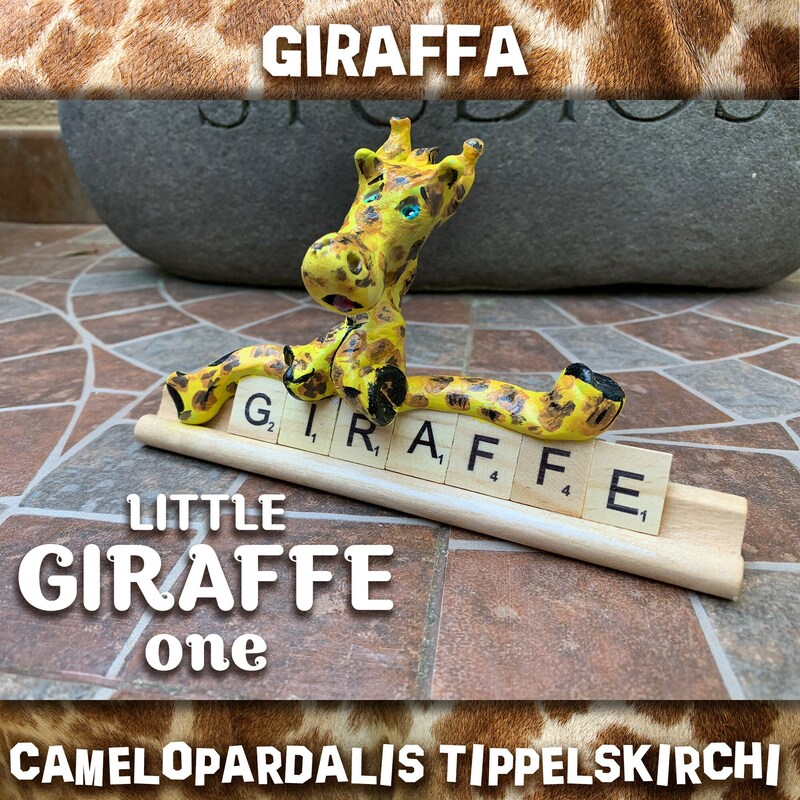 Special orders available for giraffe miniatures or deskpals, allow 1-2 weeks for special orders.